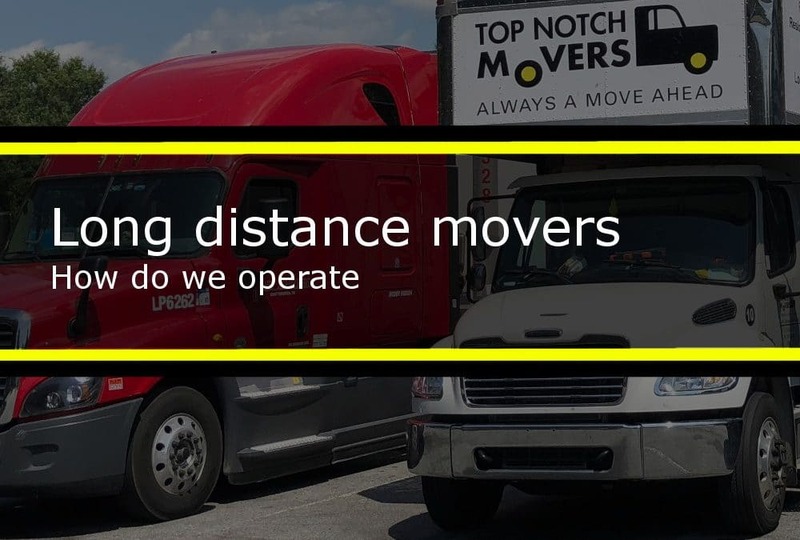 Long Distance movers | Top Notch Movers Inc.
Long distance movers, who are we? Need a quote? 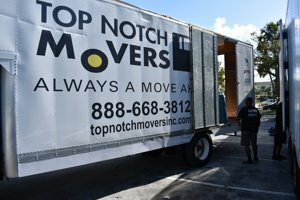 Contact Top Notch Movers today! Read on for useful tips. Providing of the Binding or Non-Binding estimates. Delivery within the provided time frame. However, there are many other services that movers offer to cover your needs. We suggest you call your company and ask them. Especially if you need help with anything related to your move. This way you can get a complete service and avoid possible complications. We, as a mover, must have all the necessary equipment and a sufficient amount of space in the warehouse to provide our clients with the out-of-state moving services. Moving you to another state is not as difficult as it may seem. But, depending on the mover, the process may vary. Before reserving the move, check with the moving company on how your move is going to be handled. Direct delivery of your items with the box truck. Delivery of your items within the provided time frame with a 52 FT tractor-trailer. Delivery of your items by the 52 FT Tractor trailer (for smaller households). All options are very similar, however, there are some differences that you need to know about. Direct delivery of your items by long distance movers with the box truck. In most cases, delivery with the box truck only offered to the customers with enough items to fill up the truck. Usually, it is a 26 FT or a 28 FT truck. Clients who have more than three bedrooms in their home to move can consider this option. This way you will receive your goods faster and sometimes at a cheaper rate. Check with your movers, surely they can do it. Mostly, long distance movers are only able to offer such services for the customers traveling within a 1500 miles radius. Why only 1500 miles? Because after 1500 miles 26 ft truck won’t be enough to cover expenses for the trip and make the profit for the movers. Movers estimate your move by calculating the weight or space of the truck. To not to lose money on the trip, they have to load some items on the way back. Usually, it is just enough to cover the expenses of the drive back. If long distance movers have to drive more than 1500 miles both ways than the backload won’t be enough to cover expenses. In this case, there is no reason to provide a moving service. Call your company, ask them what is the size of the truck that they offer. Know the size of your shipment. 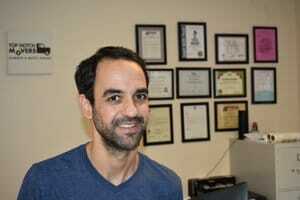 It can help you with the calculations and the further decision on choosing the right way of moving out-of-state. Top Notch Movers Inc. offers direct deliveries to more than twenty East Coast states. Competitive rates and short delivery time-frames is what we offer. Our exceptional customer service won’t leave you dissatisfied. We come to load your goods onto the truck assigned for your move. When we complete the pickup, we drive to the destination. Depending on the distance, it might take 2-3 days. You are well-informed about the delivery of the movers and can follow their truck if needed. Your goods remain on the truck during the trip. After arriving, we deliver your goods and drive away. What if I can’t accept my goods right away? 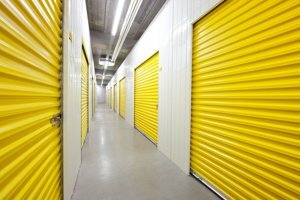 Don’t worry, we have a direct delivery option for the clients that require storage. After your goods picked up, they will be delivered to our warehouse and stored until the day you’ve decided you are ready to receive them. Call us, update us with your new address and wait for the goods to arrive. In this case, we assign a truck and drive it to you. Mostly, the delivery time frame for such an option will be 3-5 days after you requested your goods to be delivered. What if I am moving with the long distance movers but farther than 1500 miles? Direct delivery by a 52 FT tractor-trailer also available, however, it is not common for regular moves. This truck can fit numerous households. Delivery of your items by a 52 FT tractor-trailer, within the provided time frame. This is the most commonly used option. As there are smaller moves than there are bigger ones. Movers use the 52 FT trailers to fit numerous loads at a time. This way they are able to offer a client a better price for the relocation to another state. Long distance movers carefully schedule the route and work with the clients on the delivery time frames. When getting an estimate, make sure to give all the details of what you are going to move. It is important to prepare a complete list of items, even the small ones. A moving company can provide you with an accurate estimate over the phone if you can provide them with such a list. Unfortunately, not all of the clients can offer a complete list with a description of the items. In this case, we offer a visual estimate (for someone to come out and look at the goods). After a visual estimate, movers can give you an accurate and guaranteed estimate for your long distance move. What are the usual time frames for the delivery by the long distance movers? General delivery schedule: Estimated delivery schedule below is not guaranteed but in close proximity, based on previous performances and the customer’s earliest delivery date. 0-500 miles — up to 10 business days or sooner. 501-1000 miles — up to 12 business days or sooner. 1001-1500 miles — up to 14 business days or sooner. 1501-3300 miles — up to 21 business days or sooner. Usually, delivery to the major cities like New York, Los Angeles, Houston or Chicago can be done sooner than later. There are several factors to take into a count when calculating the delivery time frame. What is the distance between the pick-up and the delivery? Which city are you moving in to? How hard is it to get to your new location? For example, if you are moving to Charlotte, NC. Your time frame will be less than 12 business days. However, if you are moving to Ashville or some remote area in the mountains, you can expect a bit more of a delay. Long distance movers must provide you with the correct and accurate time frame. Call and ask them for it. Why it takes so much time to deliver my goods? 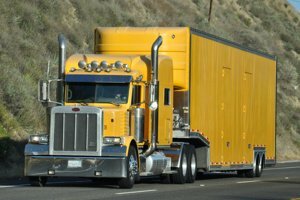 When using a 52 FT tractor-trailer, long distance movers load several jobs on the truck. Each job is delivered to a different location. Therefore, there are additional stops on the way to deliver your goods. Depending on the route, you can be either first to be delivered or last. Also, long distance movers put a lot of time to schedule and prepare the truck for the trip. Therefore It takes days of careful planning and scheduling to avoid the delays. By paying attention to the details, long distance movers are able to offer you quick and efficient delivery of your goods. Of course, like in any other business, unexpected can happen. Weather, inspections or broken truck can delay the trip. This is another reason why movers must take their time to prepare before departure. What can I do to help? Be prepared. There are some things that you can do to help long distance movers. First, fill out all the forms provided by the moving company. Correct information and addresses can save a lot of time for the dispatch department. Second, make sure to provide your movers with all the contact information, the more – the better. Moving into the building or a condominium? Check with the building about any rules or regulations. Long distance movers always confirm with the building at the delivery, however, sometimes it might take more time if they are not aware of your move. Call your building and provide them with all the necessary information. Try and be as flexible as you can. Movers must provide you with at least a twenty-four-hour notice before they deliver. How can I know if long distance movers loaded and delivered all of my belongings? Long distance movers must complete the inventory of every single item that they are loading on the truck. Inventory forms and stickers vary from company to company, but their purpose remains the same. 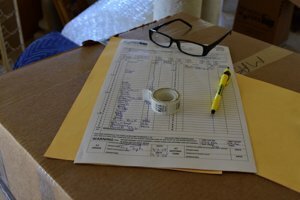 Inventory forms contain information about your items, their condition on the pickup, and a detailed description of any possible damages before their move. Crew leader has to fill out inventory forms carefully to avoid any discrepancy. You need to work with a crew leader to create a complete and detailed list of your belongings. Inventory forms used to check what items arrived at the destination, if any of the items are missing – you can see what is, and locate it as soon as possible. Sticky stickers with numbers used to mark your furniture, they should be the same color for every item. Each move has their own colored and numbered stickers. Also, each roll of stickers has individual LOT number to help to organize items in case they are misplaced in the warehouse. Talk to the crew leader and write down color, lot number and amount of stickers used. If you think that your movers cannot do proper inventory, contact office for help. Inventory of the items is one of the most important aspects of out of state moves. Long distance movers must do their inventory correctly. How, and what long distance movers charge? There are a few options available, let us share the most common ways for movers to provide you with the estimate. As for now, we cannot suggest automated forms. They are not accurate enough when it comes to the estimation of the move. Results from automated forms can be very far from reality. Over the phone estimates only good when provided by an experienced and trained moving expert. The most accurate estimates offered in person and thru the video conference. Also, movers can give guaranteed quotes based on in-home visual or a video call. When quoting your move, long distance movers calculate the weight, space or item count. Does weight, space, or item count? We, at Top Notch Movers, prefer estimates based on space. They are accurate and offer our clients the best understanding of what they are charged for. We calculate cubic feet for each item that we move. After, we make the list and sum up all the items. Total of the cubic feet times price per cubic feet will be the cost of the move. It is easy to provide a precise estimate when it comes to the size of the items, unfortunately, it is not the case with the estimates based on weight. We can calculate your space before you reserve your job or before any items are loaded onto the truck with the space estimate. With weight estimate, you need to load the items first and then pay for whatever your weight is. Sometimes the difference between the weight estimate and actual total can vary drastically. Some moving companies offer an estimate based solely on the item count. We think that estimates based on the item count often overpriced and incorrect. Also, do not forget additional fee’s that can come up during your move. All of these can be added to the cost of your move when required. A reputable moving company will disclose all the additional charges during the estimate. However, you need to pay close attention to the details of the estimate and the contract. Avoid any surprises by asking your moving expert about additional charges. Call your moving company and check with them on what surprises they might have. About long distance movers, let’s sum it up. Long distance movers offer out-of-state moving services. Check your mover, the company must be licensed and insured by the authorities. There are several options available for the delivery of your goods based on the size of your household. Delivery of your goods will take place in the timeframe of five to twenty-one business days. Call your movers to see if they offer complete service, so you don’t need to load, unload or disassemble, reassemble your furniture. Packing of the boxes has to be done by you. Some movers offer full packing services at an additional cost. 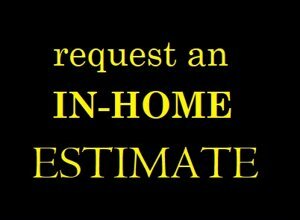 We recommend getting your estimate over the video call or by asking for an in-home estimate. Estimates based on space are most accurate. At Top Notch Movers we suggest avoiding estimates based on weight or item count. There are additional fee’s that can come up during your move. Contact your moving expert to avoid any unpleasant surprises. What are the steps that you can do? Check if they are insured. Let long distance movers handle the rest. 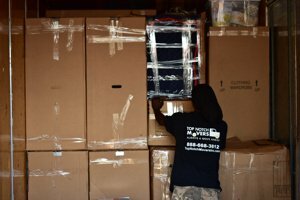 What can you expect by moving with Top Notch Movers? At Top Notch Movers we offer only high-quality moving services. You can rest assured that your goods will be handled by the professionals. 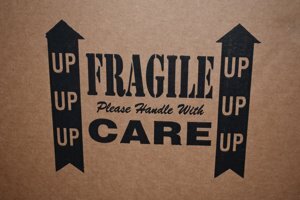 Careful moving of your belongings, quick delivery, and no hidden fee’s. Our moving experts are trained and have years of experience working in the moving industry. We are offering the most accurate, free out of state moving quotes. Have questions? Call us today! At Top Notch Movers we are always a move ahead!